High blood pressure (or hypertension) during pregnancy can be dangerous for both you and your baby. That is why hypertension during pregnancy requires special care, whether you are diagnosed with it before or after conception. Blood pressure is the force with which blood moves through the circulatory system. A high blood pressure means that the force of the blood with which it is circulating is too high. A blood pressure reading of 140/90 mm Hg is considered too high. While hypertension can affect anyone, pregnant women are at an increased risk. A study published in the journal Hypertension stated that high blood pressure, which complicates approximately 10% of all pregnancies, remains a major cause of morbidity and mortality for both mother and fetus. Overweight or obesity – According to a study published in the Journal of Health, Population and Nutrition, pre-pregnancy obesity, excessive gestational weight gain, and increased intake of energy act as potential risk factors for developing gestational hypertension. Sedentary lifestyle – Studies have shown that women who are physically more active during pregnancy tend to have a lower risk of preeclampsia, while women with increased levels of sedentary activity are at increased risk. High blood pressure before conception – Women with hypertension before pregnancy continue to have this condition during this pregnancy. Moreover, when a woman has pre-existing hypertension or happens to develop hypertension before the 20th week of pregnancy, it is called chronic hypertension. 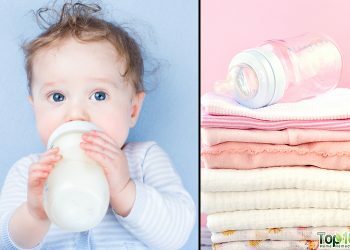 Assisted technique pregnancy, such as IVF – Using assistive technologies, such as in vitro fertilization, during the conception process also increases the risk of high blood pressure in a pregnant woman, according to a study published in the Journal of Experimental and Therapeutic Medicine. Preeclampsia – In this condition, serious damage is caused to other organs, such as the kidneys and brain. If preeclampsia is accompanied with seizures, it is known as eclampsia, which can be fatal. The symptoms of preeclampsia include persistent headaches, protein in urine samples, and swelling in the hands and face. In case of any symptoms of preeclampsia, immediate medical attention is required by the mother. HELLP Syndrome – HELLP stands for hemolysis, elevated liver enzymes, and low platelet count. This rare condition is accompanied by other symptoms, including nausea, vomiting, headache, and upper abdomen pain. In case of any symptom, immediate medical attention is required. Along with these, other complications may include fetal growth restriction, preterm delivery, placental abruption, and cesarean delivery. Although some causes of high blood pressure like family history or age-related issues cannot be controlled, there are some steps that can be taken to reduce the chance of developing high blood pressure during pregnancy. Maintain a healthy weight – Try to start your pregnancy at a healthy weight. 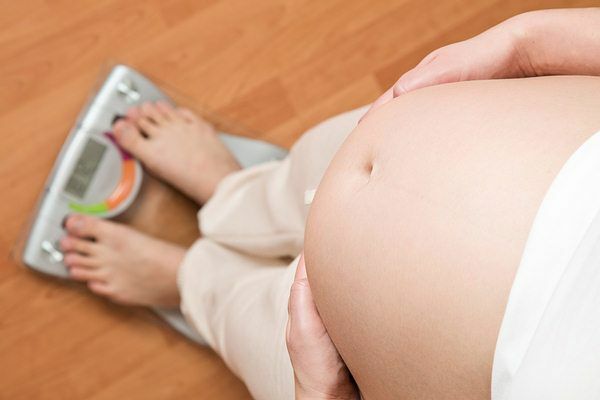 This way, when you gain weight during pregnancy, you can work with your doctor to make a plan considering your weight, height, and lifestyle to keep your weight within a safe target. Exercise – Include light activities, such as walking and yoga, to keep yourself physically active and reduce the chance of hypertension during pregnancy. Visit the doctor regularly – Regular prenatal visits are crucial to keep a check on the developing pregnancy. Quit smoking and alcohol – To ensure a healthy pregnancy and healthy baby, quit smoking and alcohol. Avoid excess salt – Excess salt can result in an increase in your blood pressure, so limit the amount of salt you consume. Reduce stress – Try to avoid being stressed and being anxious during pregnancy as these would result in increased blood pressure. It is strictly recommended to regularly visit your doctor for prenatal visits for a healthy pregnancy. Also, monitor your blood pressure regularly, and consult your doctor immediately in case of spikes in blood pressure or any signs and symptoms that have been discussed above. When suffering from hypertension during pregnancy, it is important to monitor your blood pressure level closely throughout the pregnancy. One way to ensure a healthy pregnancy and healthy baby is managing your blood pressure. At the same time, ultrasound exams should be done frequently to track the growth of the baby in the womb. 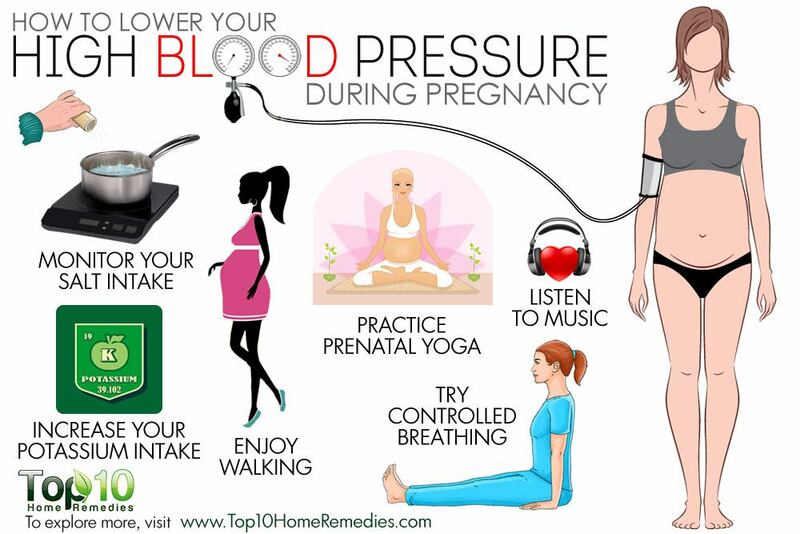 Here are some ways to lower your high blood pressure during pregnancy. Generally, when people with high blood pressure cut back on salt, their blood pressure falls. It even prevents blood pressure from rising. A 2014 study published in Electrolytes & Blood Pressure shows that a reduction of dietary salt intake can decrease the number of deaths from hypertension, cardiovascular disease, and strokes. A 2016 study by McMaster University found that, low-salt diets may actually increase the risk of cardiovascular disease and death compared with average salt consumption. 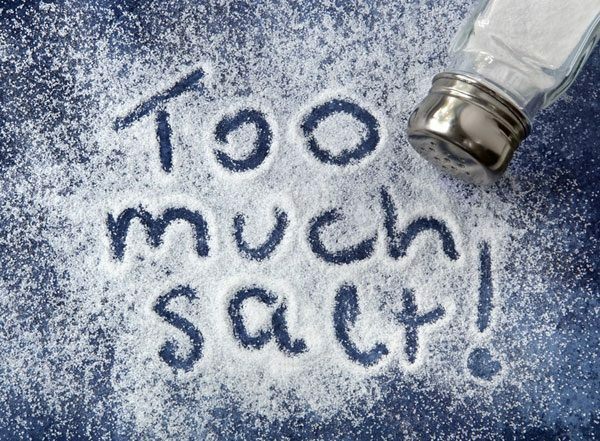 The research suggests that the only people who need to worry about reducing sodium in their diet are those with hypertension who have high salt consumption. Always remember that the body needs a small amount of sodium to work properly, but excess salt will only increase your blood pressure and your risk for heart disease or stroke. During pregnancy, you must keep a check on your salt intake to keep your blood pressure under control. Do not add a lot of salt to foods. Use herbs and spices instead to add flavor to your dish. Avoid processed foods, fast food, and sports drinks, which are high in sodium even if they don’t taste salty. Avoid canned foods as they are often high in sodium. Deep breathing is a popular relaxation technique that helps lower your stress levels and stabilize your blood pressure. A study published in 2005 in Hypertension found that slow breathing improves arterial baroreflex sensitivity and is potentially beneficial in managing high blood pressure. Moreover, every time you take in a deep breath, the well-oxygenated blood gets delivered to each and every cell in the body. This, in turn, provides energy and makes you feel good overall. Lie down comfortably, tilting your body to one side. Place your hands on your chest and below the rib cage. Slowly inhale through your nose so that you feel your stomach move up. Slowly exhale through your mouth by counting to 5, while keeping the abdominal muscles tight. Repeat 10 times and keep your breathing regular and slow. Practice deep breathing for 10 minutes, 2 or 3 times a day, to manage your blood pressure and keep your heart healthy. Inactive women are at a higher risk of hypertension during pregnancy than those who exercise. One of the best cardiovascular exercises for pregnant women is walking. A study detected a strong trend that 10 weeks of moderate exercise lowered the diastolic blood pressure among pregnant women at risk of hypertensive disorders. The reductions were probably due to the effect of exercise itself, and not due to weight or overall daily physical activity levels. Walking for 30 to 45 minutes on a daily basis is a safe activity to continue throughout all nine months of the pregnancy. Also, walking is one of the best ways to start exercising if you were fairly inactive before getting pregnant. Start with a slow walk and gradually increase your pace as well as the duration, from 20 to 60 minutes. As an added bonus, regular walking ensures that you are strong and have lots of endurance when it is time for delivery. 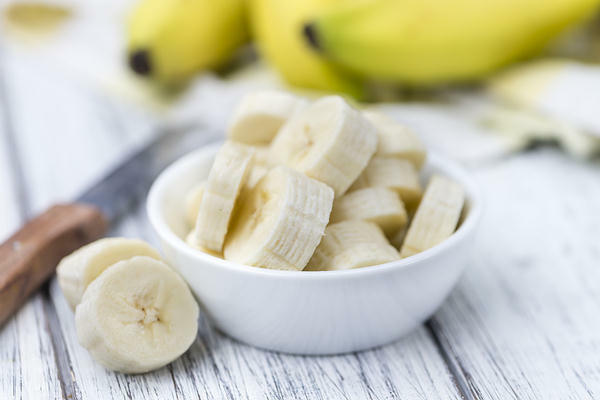 Potassium is an important mineral during pregnancy. It helps maintain your fluid and electrolyte balance. Further, it aids in the transmission of nerve impulses and contraction of muscles. There are studies that suggest that pregnancy with preeclampsia and high dietary salt along with low potassium intake may have greater maternal and neonatal morbidity risk than pregnancy with preeclampsia under low dietary salt and high potassium intake. Hence, an adequate amount of potassium helps keep your blood pressure under control. It is, actually, recommended that potassium-rich foods be part of a hypertension-management diet, whether you are pregnant or not. 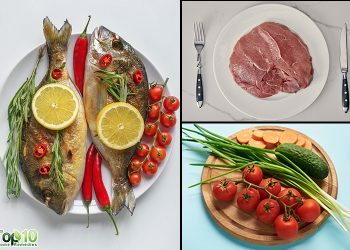 A 2015 study published in the Journal of Human Hypertension reports that increased potassium intake, on top of a relatively low-sodium diet, had a beneficial effect on blood pressure. A pregnant woman should aim for 2,000 to 4,000 mg of potassium a day. Some of the best potassium-rich foods are sweet potatoes, tomatoes, orange juice, potatoes, bananas, kidney beans, peas, cantaloupe, honeydew melon, and dried fruits such as prunes and raisins. A diet low in magnesium may lead to high blood pressure. A 1991 study published in Obstetrics & Gynecology reports that magnesium appeared to be beneficial in the management of pregnancy‐induced hypertension. Another study published in 2011 in the Journal of the Indian Medical Association found that patients with gestational hypertension had significantly low mean magnesium levels. This is why you should include magnesium-rich foods in your diet during pregnancy. 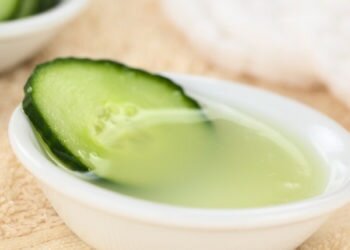 Along with lowering your blood pressure, this mineral will help prevent the uterus from contracting prematurely. It also helps build strong teeth and bones in your baby. 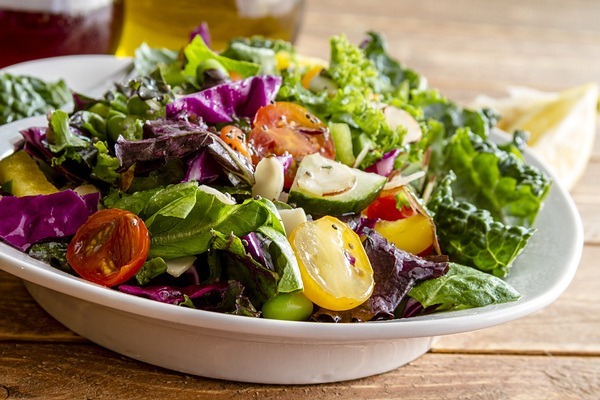 The best way to get your daily dose of magnesium is through a healthy diet. You can get magnesium from foods such as almonds, avocados, bananas, beans, pumpkin seeds, tofu, soy milk, cashews, potatoes (with the skin), yogurt, blackstrap molasses, whole grains, and green leafy vegetables. 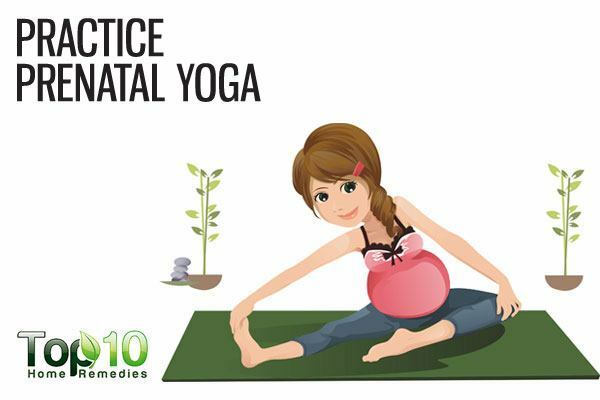 Prenatal yoga is one of the best ways to keep your stress level under control. One of the causal factors of elevated blood pressure is stress, regardless of whether you are pregnant or not. Stress during pregnancy has been linked to premature birth, low birth weight, and increased developmental and behavioral problems in the child. Prenatal yoga is a multifaceted approach to exercise that encourages stretching, mental centering, and focused breathing. Aside from reducing stress, it can improve sleep; increase the strength, flexibility, and endurance of muscles needed for childbirth; and reduce lower back pain. A 2014 study published in Depression and Anxiety shows that yoga can help keep expectant mothers stress-free. Women who attended a yoga class each week for eight weeks had decreased anxiety scores compared with those in the control group who received normal antenatal treatment. When it comes to prenatal yoga, it is highly recommended to join a yoga class. 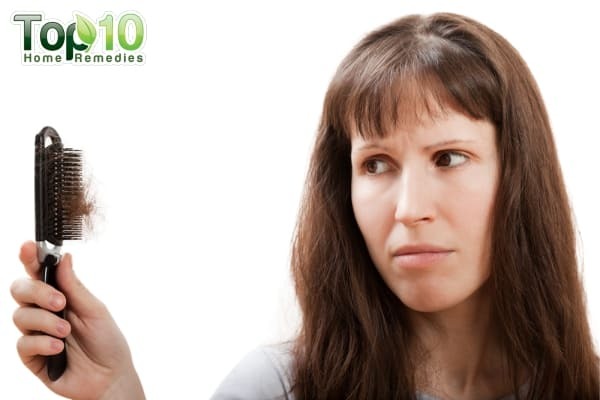 Some amount of weight gain during pregnancy is normal, but if your weight gain is excessive, take it as a warning sign. A 2013 study published in the American Journal of Obstetrics and Gynecology reports that gestational weight gain is a risk factor for hypertensive disorders during pregnancy. In fact, weight gain in early pregnancy may be a potential target for interventions aimed at reducing the risk of hypertension. Obesity or excessive weight gain during pregnancy has been known to cause serious impact on maternal, fetal, and neonatal outcomes. Metabolic syndrome, cardiovascular disease, and diabetes are known to result from weight gain in women following childbirth, which is caused due to preconceptional obesity and excessive weight gain during pregnancy. Through a healthy diet and a proper exercise routine, you can achieve a healthy weight. Talk to your doctor about the weight that’s right for you and follow the instructions given by your doctor. Music has a calming effect on your body, reducing stress and anxiety. Listening to the right type of music for at least 30 minutes, 2 or 3 times a day, can lower your blood pressure. As an added bonus, music can help you deal with stress and anxiety, which can make things more complicated during pregnancy. Stress is also not good for your unborn baby. Slow-tempo and low-pitch music, without lyrics or loud instrumentation, can calm people down, even during highly stressful times. Listening to soft and soothing music during pregnancy also helps create a wonderful bonding experience for you and your baby. Plus, it enhances the stimulation of your unborn baby’s growing brain and improves sleeping patterns for a newborn baby. Get early and regular prenatal medical care. If your doctor says you need medicine to keep your blood pressure under control, be sure to take it every day as prescribed. Those who are at high risk for preeclampsia may have to take low-dose aspirin to help prevent it. This will be advised by your doctor. Don’t stop taking any medicine without talking to your doctor. Smoking and drinking put stress on your heart and cardiovascular system. It is also dangerous to your baby’s health. Say no to smoking and drinking while you are pregnant. Avoid caffeine during pregnancy, as it has been linked to reduced placental blood flow and risk of miscarriage. Preeclampsia and High Blood Pressure During Pregnancy. The American College of Obstetricians & Gynecologists. https://www.acog.org/Patients/FAQs/Preeclampsia-and-High-Blood-Pressure-During-Pregnancy#hypertension. Published May 2018. Lindheimer MD. Hypertension in pregnancy. Hypertension. https://www.ahajournals.org/doi/abs/10.1161/01.hyp.22.1.127. Published July 1993. Kazemian E, Sotoudeh G, Dorosty-Motlagh AR, Eshraghian MR, Bagheri M. Maternal Obesity and Energy Intake as Risk Factors of Pregnancy-induced Hypertension among Iranian Women. Journal of Health Population & Nutrition. https://www.ncbi.nlm.nih.gov/pmc/articles/PMC4221454/. Published September 2014. Spracklen CN, Ryckman KK, Triche EW, Saftlas AF. Physical Activity during Pregnancy and Subsequent Risk of Preeclampsia and Gestational Hypertension: a Case Control Study. Maternal Child Health Journal. https://www.ncbi.nlm.nih.gov/pmc/articles/PMC5538351/. Published August 1, 2017. Pregnancy and High Blood Pressure. Stanford Health Care (SHC) – Stanford Medical Center. https://stanfordhealthcare.org/medical-conditions/womens-health/pregnancy-and-high-blood-pressure.html. Xiong F, Hu L, Zhang Y, Xiao X. Correlation of hypertensive disorders in pregnancy with procedures of in vitro fertilization and pregnancy outcomes. The Experimental and Theurapatic Medicine. https://www.ncbi.nlm.nih.gov/pmc/articles/PMC5740777/. Published September 27, 2017. Xiong X, Mayes D, Demianczuk N, et al. Impact of pregnancy-induced hypertension on fetal growth. American Journal of Obstetrics and Gynecology. https://www.sciencedirect.com/science/article/pii/S0002937899701766. Published October 31, 2005. High Blood Pressure During Pregnancy Fact Sheet. Centers for Disease Control and Prevention. https://www.cdc.gov/bloodpressure/pregnancy.htm. Published May 16, 2018. Ha SK. Dietary Salt Intake and Hypertension. Electrolytes and Blood Pressure. https://www.ncbi.nlm.nih.gov/pmc/articles/PMC4105387/. Published June 30, 2014. Salt reduction only important in some people with high blood pressure. McMaster University. https://www.sciencedaily.com/releases/2016/05/160521071410.htm. Published May 21, 2016. Strazzullo P, D’Elia L, Kandala N-B, Cappuccio FP. Salt intake, stroke, and cardiovascular disease: meta-analysis of prospective studies. The BMJ. https://www.bmj.com/content/339/bmj.b4567.full. Published November 25, 2009. Joseph CN, Porta C, Casucci G, et al. Slow Breathing Improves Arterial Baroreflex Sensitivity and Decreases Blood Pressure in Essential Hypertension. Hypertension. https://www.ahajournals.org/doi/abs/10.1161/01.hyp.0000179581.68566.7d. Published October 2005. Yeo, MC C, Leclaire, Ronis, R H, Steele NM. Nursing School, University of Michigan School of Medicine, Ann Arbor 48109-0482, USA. The Journal of Reproductive Medicine. https://europepmc.org/abstract/med/10804484. Published April 1, 2000. Kowey PR. The Role of Potassium. SpringerLink. https://link.springer.com/chapter/10.1007/978-1-4615-1061-1_18. Published January 1, 1970. Lindinger MI, Sjøgaard G. Potassium regulation during exercise and recovery. Sports Medicine. https://www.ncbi.nlm.nih.gov/pubmed/1656509. Published June 1991. Yilmaz ZV, Akkas E, Türkmen, GG, Kara Ö, Yücel A, Uygur D. Dietary sodium and potassium intake were associated with … Hypertension in Pregnancy. https://www.tandfonline.com/doi/full/10.1080/10641955.2016.1239734. Published November 11, 2016. Houston MC. The importance of potassium in managing hypertension. Current Hypertension Reports. https://www.ncbi.nlm.nih.gov/pubmed/21403995. Published August 2011. Sacks FM, Willett WC, Smith A, Brown LE, Rosner B, Moore TJ. Archive of all online content. Hypertension. https://www.ahajournals.org/doi/abs/10.1161/01.HYP.31.1.131. Published January 1, 1998. Rudnicki M, Frölich A, Fischeh W, Rasmussen, McNair P. The effect of magnesium on maternal blood pressure in … Obstetrics & Gynecology. http://onlinelibrary.wiley.com/doi/10.3109/00016349109007158/full. Published January 1991. Bera S, Siuli RA, Gupta S, et al. Study of serum electrolytes in pregnancy induced hypertension. Journal of Indian Medical Association. https://www.ncbi.nlm.nih.gov/pubmed/22315860. Published August 2011. Kulkarni S, O’Farrell I, Erasi M, Kochar MS. Stress and hypertension. WMJ: State Medical of Society of Wisconsin. https://www.ncbi.nlm.nih.gov/pubmed/9894438. Published December 1998. Yoga can help keep expectant mothers stress free: First evidence found. Manchester University. 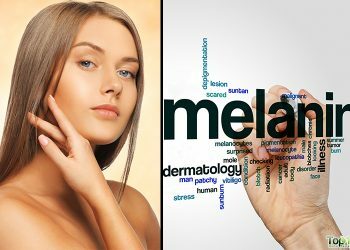 https://www.sciencedaily.com/releases/2014/04/140430192543.htm. Published April 30, 2014. Macdonald-Wallis C, Tilling K, Fraser A, Nelson SM, Lawlor DA. Gestational weight gain as a risk factor for hypertensive disorders of pregnancy. American Journal of Obstetrics and Gynecology. https://www.ncbi.nlm.nih.gov/pmc/articles/PMC3807791/. Published October 2013. Arabin B, Stupin JH. Overweight and Obesity before, during and after Pregnancy. Geburtshilfe Frauenheilkd. https://www.ncbi.nlm.nih.gov/pmc/articles/PMC4119107/. Published July 2014. Chang MY, Chen CH, Huang KF. Effects of music therapy on psychological health of women … Journal of Clinical Nursing. http://onlinelibrary.wiley.com/doi/10.1111/j.1365-2702.2007.02064.x/abstract. Published September 17, 2008.